When are Girl Guide cookies available? 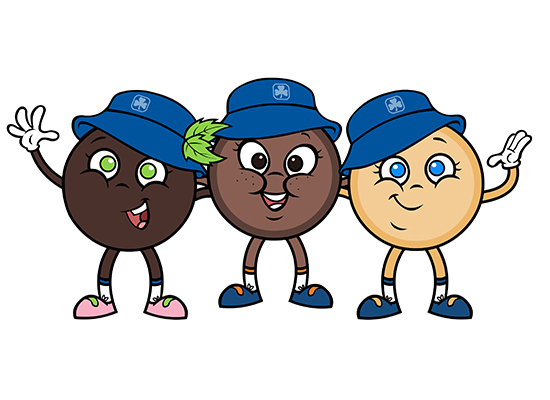 Girl Guide cookies are available twice a year - the chocolatey mint cookies are available every fall (October to December) and the classic chocolate and vanilla sandwich cookies are available every spring (from approximately March to June). 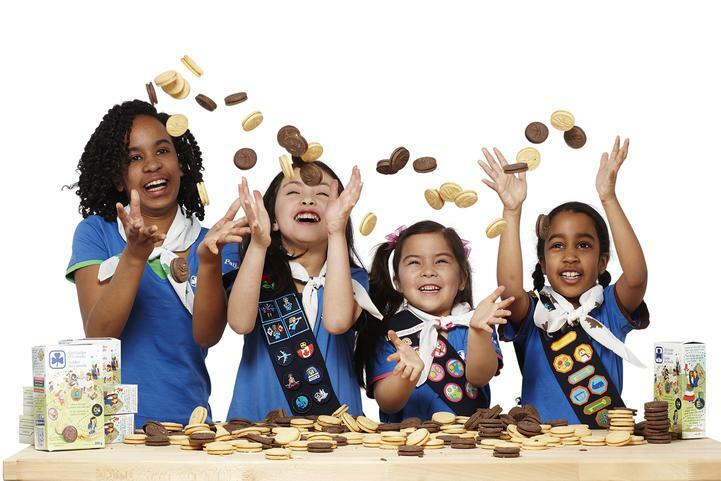 How much does a box of Girl Guide cookies cost? Girl Guide cookies are sold for only $5.00 a box. How many boxes of Girl Guide cookies are sold each year? 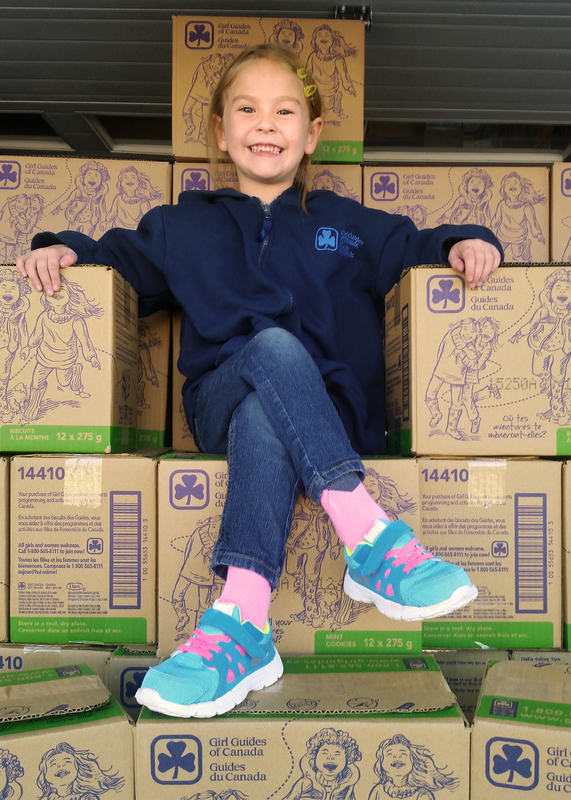 Over 4.4 million boxes of Girl Guide cookies are sold each year across Canada. In 1927, a Girl Guide leader in Regina baked and packaged cookies for her girls to sell as a simple way to raise money for their uniforms and camping equipment. Little did she know that she was starting one of Canada’s best-loved traditions - Girl Guide cookies! When I buy Girl Guide cookies, where does my money go? • Helps us provide diverse and exciting programs and activities. • Allows girls the chance to discover new interests, learn valuable leadership skills and make lasting friendships. • Assists girls and leaders with attending camps and events. How does cookie selling benefit girls? Girl Guide Cookies are here! Girls have already started door to door sales and also selling at local super markets. Cookies are the number one fundraiser for Girl Guides. Girl Guides like 9 year old Kait B., 8 year old Lily C., and 9 year old Cameron E. are raising money to attend a week long camp at Camp Olave on the Sunshine Coast; this will be their first provincial camp! For 7 year old Kylie E. it means funding to participate in trips to the Firehall and weekend camps at Camp Selhowtkan (Adams Lake). Girls across Kamloops have been accepted to international trips (Japan) for the summer of 2018. These trips offer the opportunity for girls to learn independence, responsibility, and consider the world outside their doors.